Celebrate Baltimore’s innovative industrial history by learning how it grew from a thriving seaport to the massive city it is today. Baltimore has long been recognized as a major industrial center and is home to the nation’s first passenger railway, oldest gas company, first traffic light, and many other inventions and innovations. The Baltimore Museum of Industry’s collections are evocative reminders of Baltimore’s great history and explain, more effectively than any textbook, how the city developed from a small trading post to a thriving industrial center. The collections also explain how Baltimore’s residents—no matter their station in life, race, ethnicity, or occupation—contributed to this development. The BMI is a non-profit that’s been voted the Certificate of Excellence from Trip Advisors the last four years in a row. It has both indoor and outdoor exhibits that range from live demos to hands-on activities. Located in an 1860s oyster cannery on a five-acre waterfront campus, you’ll get a historic feel from merely being inside the facility. Baltimore has long taken pride in its identity as a “working man’s town” and this industrial heritage, central to Baltimore’s image of itself, is preserved at BMI in one of the nation’s best and broadest collections of industrial items. 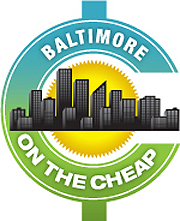 If you’d like to keep up with the latest deals, discounts and free & cheap events happening around Charm City, be sure to sign up for the Baltimore on the Cheap Newsletter!